I give up............ what the heck is IBX? Anyone finding any morels yet?? The triangle just started popping. ^ Come on now............. that is just not fair. Can they be found in Forsyth County? Never really looked for them but it looks fun. How about Moore County? Probably not, with the Sandhills. But maybe Chatham or Alamance? I'd like to go look for them, too. Small but we're finding them in the Triangle. I tagged out yesterday. I picked 20 and left about that many more for "seed" . IBX = inner banks. So they are found in every state but IBX? I would think they would be in Forsyth County since we have all the things that they typically like, but I've never found them here. We used to find them in central Alabama but they were scarce and very small. Never found one in any of the parts of Florida I've been in. There are lots of mushroom groups that report on them, but they are kinda like good trout streams, bass lakes or turkey woods, sometimes I don't think the information received is completely accurate. I hope to find some this weekend. My biggest challenge is finding them before the turkeys do. 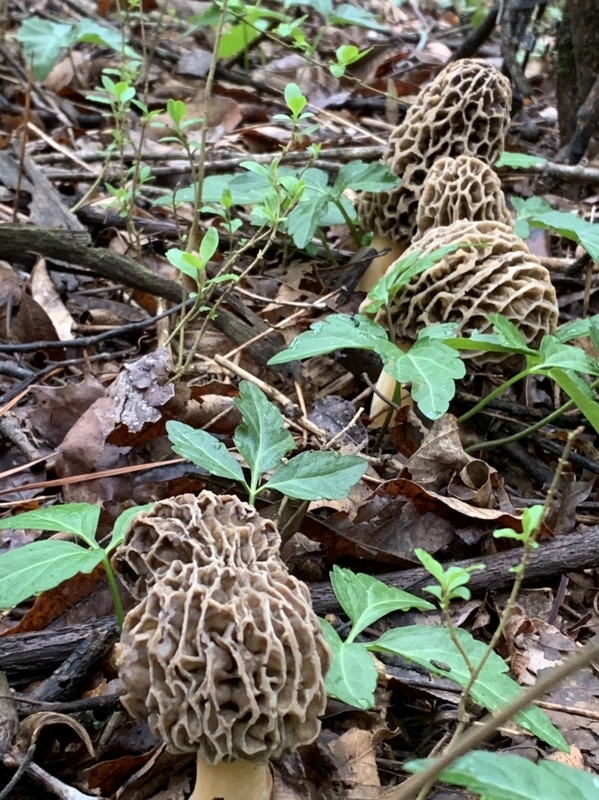 Since the turkey population exploded in Warren County morel have become scarce. I have spent a lot of time in the woods in north central NC and have only found a few morels here. I have found quite a few in other states, Ohio, NE and KS. We find enough on our turkey hunting trips that we take a dehydrator with us so we can dry them as we find them. They do not keep well otherwise. I have been places where there was more folks in the woods hunting morels than hunting turkeys. A couple of years ago, had a fella in NE tell us that fresh morels were selling for $50 per lb. at the farmers market in Omaha. 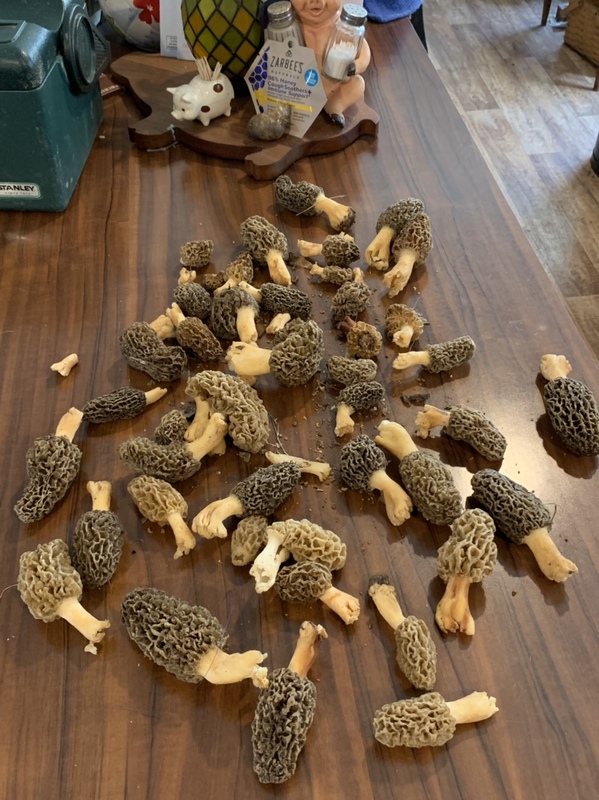 I went back 2 days after I found the morels I picked. The ones that I left were gone . The dang deer ate them . Another reason for me to shoot them rascals . 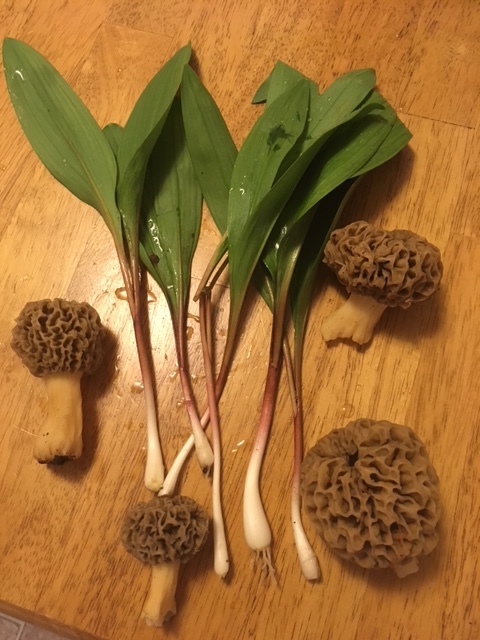 Ramps and Morels.....a meal fit for a king! Got a nice mess of large shrooms in Wake County again. This spot keeps producing this year.